I stayed up last night and enjoyed the finer things in life. Cider, Dessert and movies on the couch with my boy (The big boy this time not the lil one) .. It didn’t matter though I was still up hours later than I normally am and as a consequence I slept in. I didn’t even hear the kidlets awaken, apparently their Dad had the pleasure of them waking him instead .. (Bonus) Anyway it was 8.00 when I woke and I got some cardio done before my inner gruffalo came to the forefront and demanded being fed. 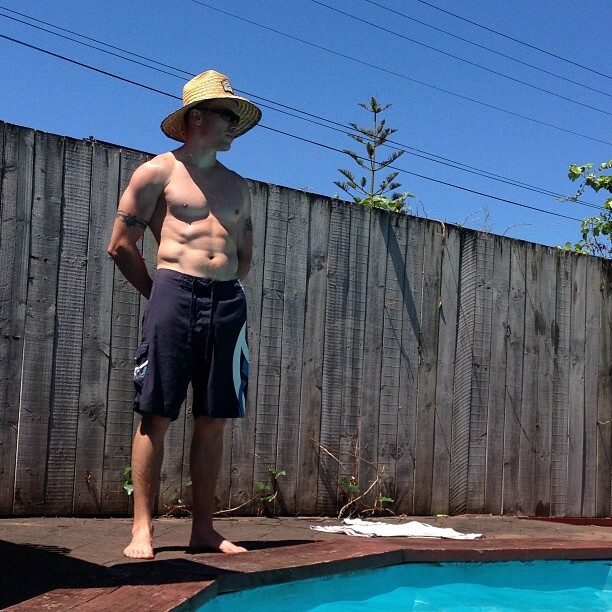 We tried a couple of times to get the 62 burpees done but the kidlets weren’t having a bar of that today so instead we do what all kiwi families do when the suns out .. spent the entire day in or next to the water. Thankfully J takes his lifeguard duties EXTREMELY seriously as I basically resembled drift wood .. BUT it’s Day 62 and I can’t start out the first day of the New Year with a no show .. especially when she put on such an amazing day for me! My wish for you all this New Year is that you all have days like today (maybe minus the gorilla crawling). Hi there, awesome blog but there is a problem whereby sometimes I get sent back to the base page whenever I view other webpages in this site.